Reading New Zealand Ltd IRDN 70076632 and its related entities (Reading) are committed to preserving your privacy, and this Privacy Statement reflects our firm commitment to you. It sets out our policies in relation to the way we collect and handle personal information. We encourage you to check our privacy statement regularly as this Privacy Statement may change from time to time. · information collected from third parties. For example, we collect personal contact information (such as your name, address, email address and phone number) when you participate in contests, competitions or register onto our website. We may also collect personal information when you visit certain parts of our website and provide content, feedback or suggestions. You may also participate in interactive online activities such as games, chat or bulletin boards or by voting in polls. If you register onto our website, we may also collect information on your use of the site so that we can make our website as interesting as possible for you. When you join our loyalty program, you will be asked to provide information relating to your movie going habits. Each time you use your loyalty program card, information will be collected about the movies that you see. This will help assist us to learn more about the type of movies that you like. We may also give you the opportunity to be contacted by email or SMS so that we can offer you discount and promotional opportunities. We collect financial information (such as credit card information) from you in order to receive payment from you for products and services which you order. From time to time, we conduct competitions and give you the choice of receiving further contact from us. Unless you make the choice for us to contact you further, the personal information which we collect from your entry into the competition will not be used for any purpose other than for the competition. When you visit our web site, "cookies" technology allows us to identify your movements around our site. This information provides us with constructive feedback about our site so that we can identify the most effective areas and improve the less popular ones. Cookies alone cannot determine the identity of individual users. It is a feature of your Internet browser which you can disable at any time. A 'cookie' is a small data file that resides on your computer's hard drive. Some web sites write to this file when you visit them. A cookie file can contain information such as your user ID in order to track the pages you have visited. A cookie cannot access other information from your hard drive, or from cookies created by other web sites. Cookies, by themselves, cannot be used to find out the identity of any user. The only personal information a cookie can contain is information you supply yourself. · it is necessary for the establishment, exercise or defence of a legal claim. We use personal information primarily for the purpose for which it was collected. Because most of our information is collected from you directly, you will normally be aware of the purpose of the collection. For example, information may be collected from you so that we can fulfil prizes, offer discounts and process online transactions. 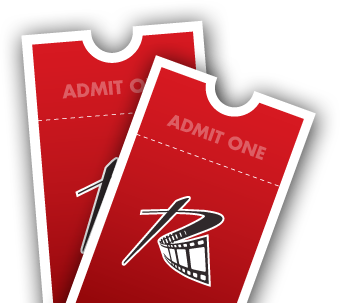 In relation to our loyalty program, information we collect may be used to invite loyalty program members to special screenings and events as well as to make special ticket and promotional offers. · where we are permitted or required by law, or it is in the interests of public safety to do so. For example, we may use your contact details for editorial and feedback purposes or to inform you of our products and services. We may also collect personal information so that we can provide information which is of interest to you. You are always given the opportunity to notify us that you do not wish to receive this material. We treat personal information which we collect from you in the same way that we treat our other confidential information. We will not sell to anyone, the information which we collect about you. We will take all reasonable steps to ensure the security of all personal information we collect. This involves protecting it from misuse and loss, as well as from modification and disclosure. The inherent nature of the Internet means that the security of any transmission of information to us using the Internet cannot be guaranteed. The electronic databases that hold information as well as our internal systems are designed to restrict access to only those people who require specific information. In addition, your personal information is only kept while it is required for the purpose for which it was collected or for a permitted secondary purpose. Reading regularly deletes and de-identifies personal information if we no longer need the information. We will take all reasonable steps to ensure that your personal information which we collect, use or disclose is accurate, complete and up-to-date. If you wish to access the information we hold about you, you are welcome to contact us and we will respond to your request within 45 days. A handling fee may be payable so that we can obtain the information you require. You can also request that information about you be corrected or deleted. This is part of our commitment to take all reasonable steps to ensure that the information we hold is accurate, complete and up-to-date. We reserve our right to refuse your request for access or correction if, for example, we consider your request to be frivolous or vexatious, or if we are legally entitled to do so. If we refuse your request, we will give you our reasons. If we refuse your request to correct information we hold about you, we will give you the opportunity to post a statement of your claim where we hold your personal information. Our web site contains links to other sites. We cannot be responsible for the privacy practices of other web sites and their operators. The only web site that this Privacy Statement relates to is www.readingcinemas.com.au. As Reading grows and changes, we may revise our privacy statement. We will keep you updated on these changes by posting new versions of our policy on our web site. By providing your personal information to us or by using our web site, you are indicating your acceptance of our current policy.